Sol 2376, April 13, 2019. Curiosity’s Remote Micro-Imager took a look at the target that mission scientists have dubbed Lumphanan, tagged as a possible meteorite. Click the image to enlarge it. Sol 2376 raw images (from all cameras). 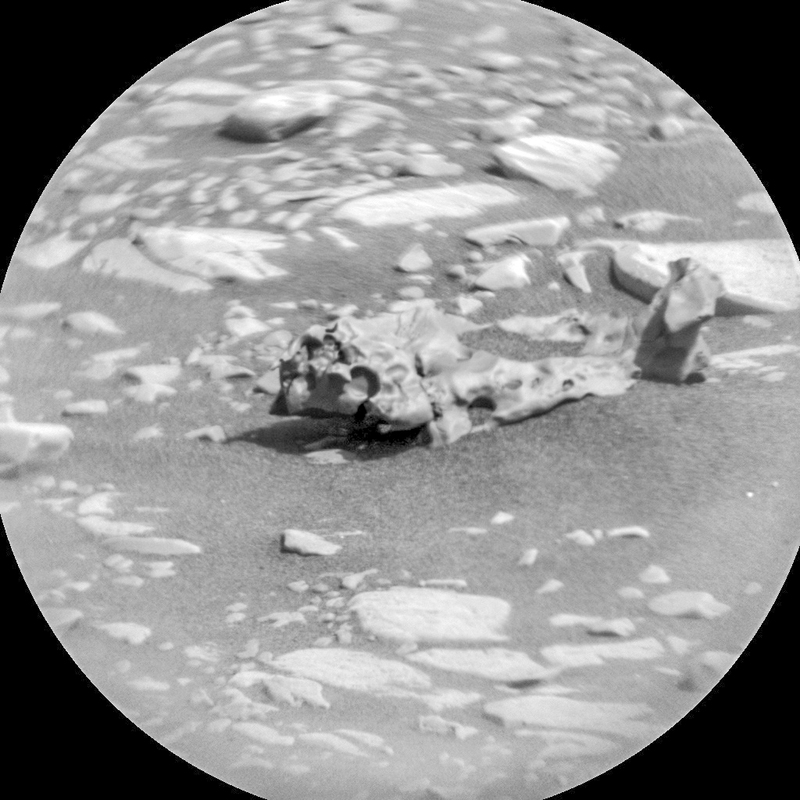 This entry was posted in Reports and tagged Aeolis Mons, CBU, clay-bearing unit, Curiosity, Gale Crater, Glen Torridon, Lumphanan, Mars Science Laboratory, meteorites, Mount Sharp, MSL, Murray Formation, NASA, nickel-iron meteorites. Bookmark the permalink.